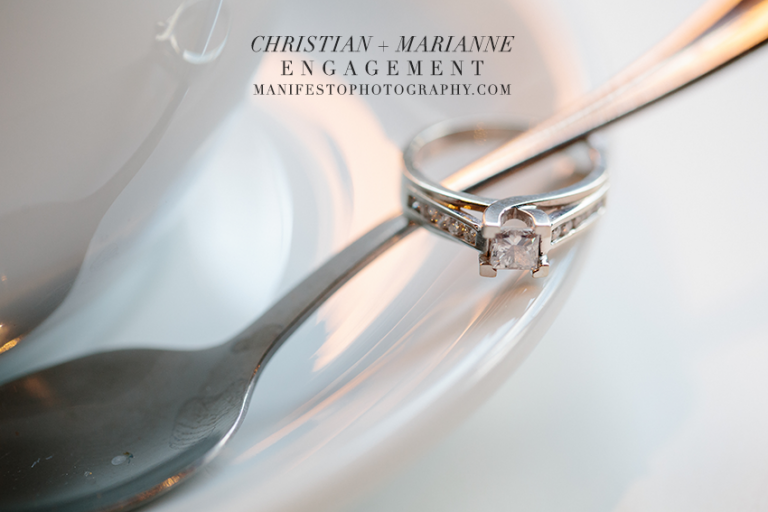 Christian and Marianne are a match made in heaven. They share a passion for helping youth and together, they are a power team! Christian is the Youth Ministries Director at Banwell Community Church, and Marianne is a Youth Outreach Worker. Their hearts are pure gold. They spend much of their not-so-free time chatting over coffee about plans for their future. 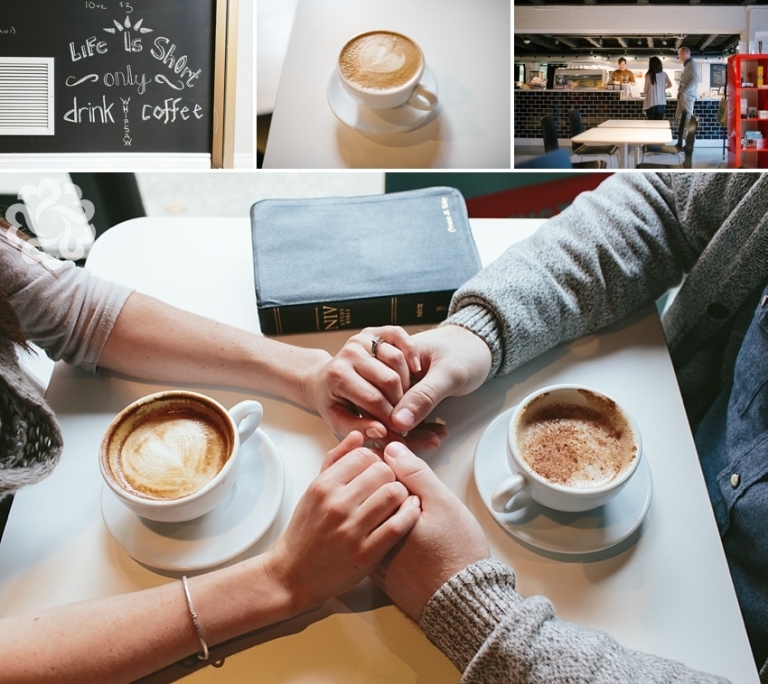 We thought it fitting to have part of their engagement session done at Salute Espresso Bar, in downtown Walkerville. We love the coffee culture there. The owner Dane is pretty much insane about coffee – get him talking about it and you will learn so much! He was so gracious to allow us to warm up and take some candid shots at his Espresso Bar. Definitely check it out if you get the chance, you will have the best cup of coffee you’ve ever had – I promise! Once the sun started going down, we took off to a little park that Christian had suggested. Although it was freezing cold, we warmed up by exploring little spots in the park and between shots we did jumping jacks and danced. Christian now knows all about my sweet dance moves. Christian and Marianne, you two are adorable together. Your love and respect for each other is obvious, and what a shining light that is to all of the youth that look up to you both. God bless you for who you are, and all you do! We so look forward to capturing more memories together very soon.